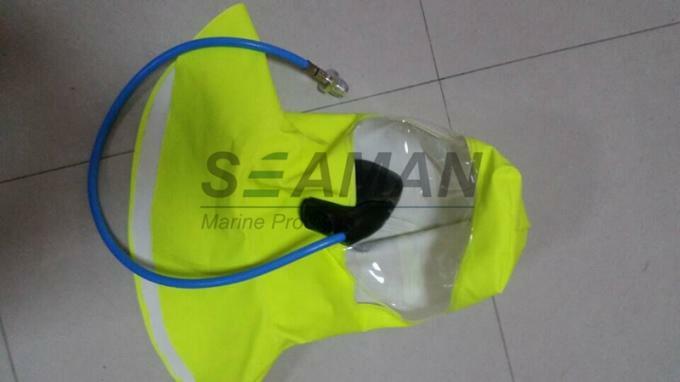 Emergency Escape Breathing Device is a self-contained compressed air breathing apparatus, mainly used for emergency escape from the environment that can not breathe. 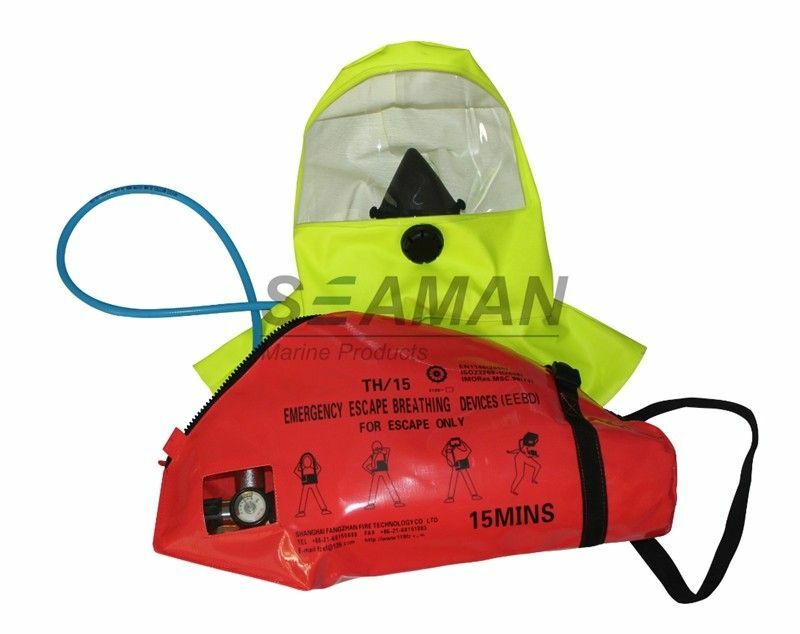 Emergency Escape Breathing Device (EEBD) is a self-protective breathing apparatus for people in distress to escape and self-protect. Only operated properly can it help users escape from accident spot safely within effective use of time. Emergency escape breathing device (EEBD) is used for escaping from a compartment that has a hazardous atmosphere to provide personal breathing protection. 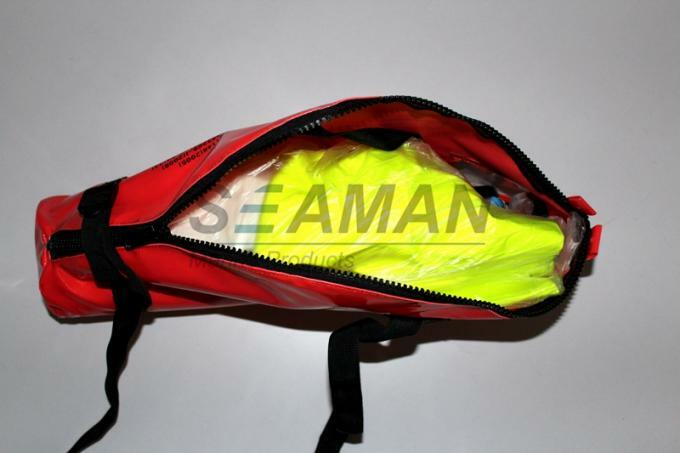 Not to be used for fighting fire, entering oxygen deficient voids or tanks, or worn by fire fighters. There is pressure gauge on the cylinder to indicate the cylinder pressure. The cylinder pressure of EEBD is not indicated by a pressure gauge during storing. 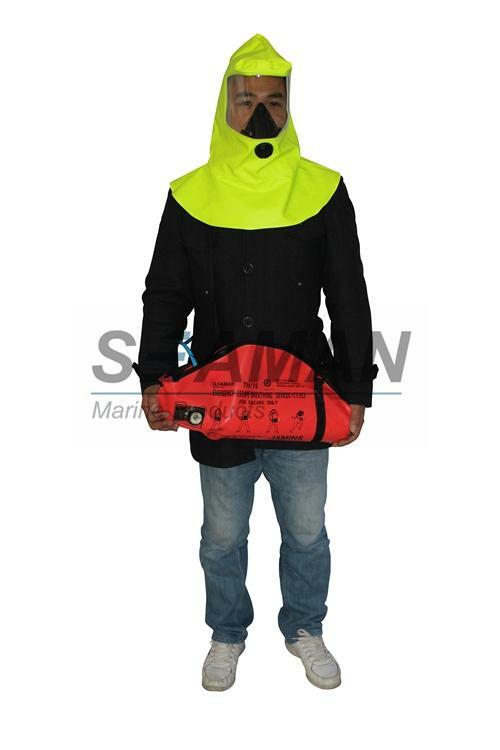 the hood is a flame resistant head cover which completely covers the head, neck and may cover portion of the shoulders, where there is a clear window. 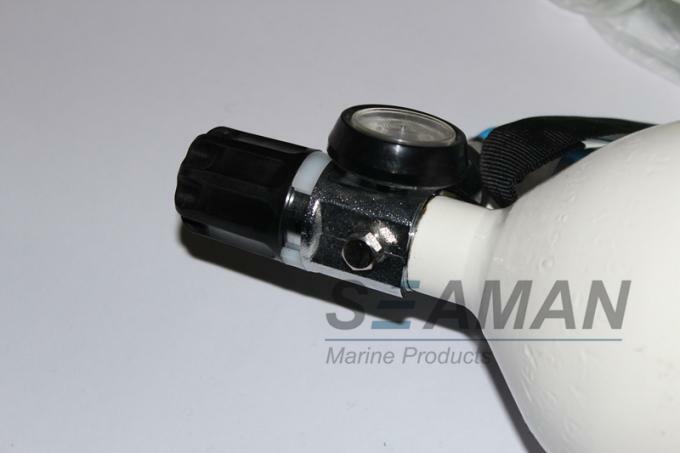 The Emergency escape breathing device is easy to use. You just need to open the cylinder valve and put the hood on head when use it. Environment of Smoke, hypoxia, as well as environment polluted by toxic gas, smoke, steam, etc. and the International Fire Safety Systems (FSS) rules Chapter 3 2.2. 1. Check the pressure gauge, observe the cylinder capacity and tear the seal. 2. Put on the satchel, pull out launch belt to open it. 3.Take out the face mask and wear it from the head down, and be noticed that transparent window is in the front and the shawl covers the shoulders. 4.Escape from the accident spot quickly.